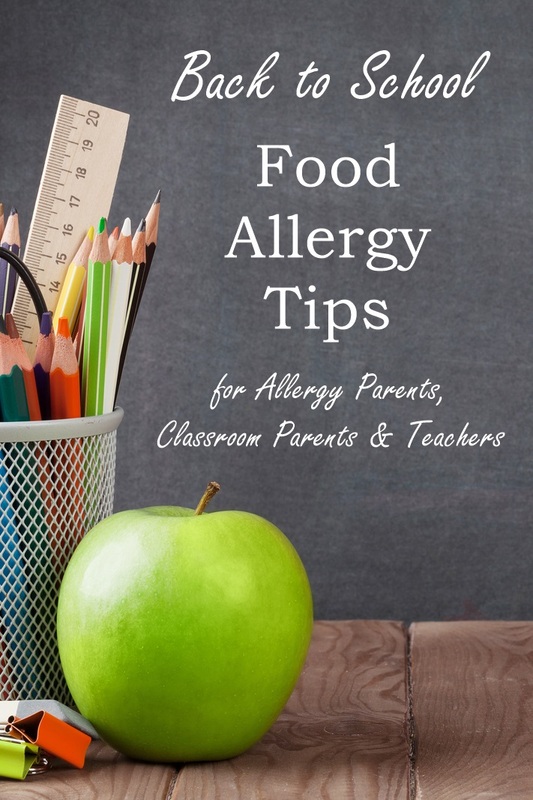 Several years ago, Gina Clowes of Allergy Moms shared her wisdom with us in a helpful collection of back to school food allergy tips. Her advice still rings true, so we’re updating that post and sharing it with you again today! 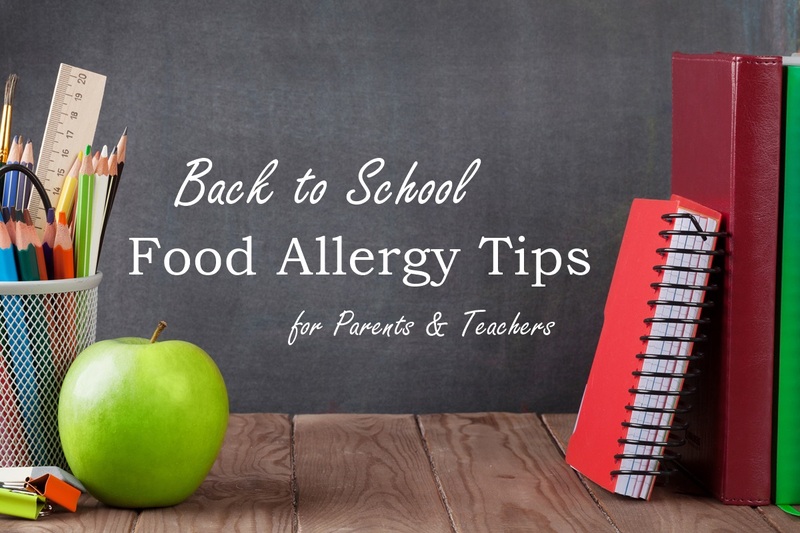 Gina’s back to school food allergy tips aren’t just for the parents of food allergic kids. 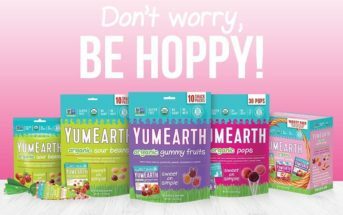 They’re also for teachers and the other classroom parents! So share this list with others to encourage awareness. 1. If you haven’t done so already, it’s not too late to talk to your child’s teacher and school administrators about your child’s food allergies. It’s best to start with a letter from your child’s allergist explaining the allergies and any restrictions. 2. Using the recommendations from your child’s allergist, create a Food Allergy Action Plan (FAAP), or Individual Health Care Plan (IHCP) to document your child’s allergies and how your child needs to be treated for allergic reactions. 3. Find out if your state and/or school district has a food allergy policy. If so, you may still need to add other accommodations to keep your child safe and included. If they do not have a written policy, you will want to work with your child’s teacher and school administrators to determine how your child will be accommodated and how to minimize the risk of exposure to your child. 4. Ask to review classroom supplies, including materials for Art and Science projects and find out if the teacher will be using any type of food rewards. 5. There is often much more food at school than most adults realize. Discuss how your child can be kept safe and included during snack time, lunchtime, birthday celebrations, classroom parties, field trips, assemblies or school wide activities. 6. There must always be an adult trained in recognizing and treating allergic reactions available to assist your child. Make sure that your child’s medicine is quickly accessible in an unlocked location. 7. An anaphylaxis drill is a terrific idea for training others in an emergency where quick action can save lives. Emergency procedures for areas outside the classroom such as recess, the bus ride and field trips should also be discussed and agreed upon. 8. Some parents like to send in a “safe snack” box for their child in the event that an unsafe treat is being served to the other students. You can keep safe candies, like Enjoy life chocolate bars, cookies and a few safe juice boxes there for these occasions. 9. Better yet, encourage snacks and treats that allow all children to be served and included. All kids want to be One of the Gang! 1. If you’re sending food for the class to share, check with the teacher first. Keep in mind that it’s probably best to send in a prepackaged product with an ingredient label. 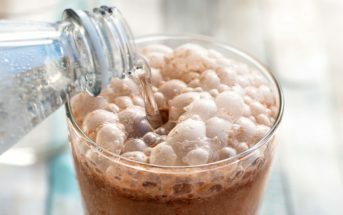 Food allergies can result in serious and even fatal reactions caused by tiny amounts of everyday foods. Home baked goods are usually not an option for food allergic children. 2. If certain foods are restricted from the classroom, carefully read all labels and make sure to abide by these guidelines. Some allergic children can react to just contact with their allergens. In addition, children can pick up traces of allergens and then put their fingers in their eyes or mouth. This is enough to cause a reaction in some allergic children. 3. Never use “common sense” to determine if a food is safe. Candy can contain milk, egg, wheat, peanuts or nuts. Pie crusts, granola bars and ice cream can contain egg, nuts and peanuts. 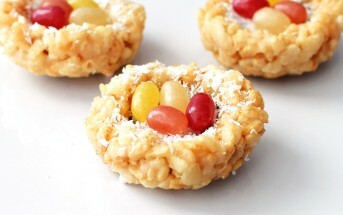 Even jelly beans can contain peanut flour. 4. Consider sending in “safe” treats or snacks so that every child in the classroom can partake of birthday celebrations or classroom parties. All kids love goodies and it’s very hard to be the little guy or girl who never gets to have a birthday cupcake. 1. Set the stage for inclusion. Make sure that birthday celebrations, classroom parties and school wide activities include safe foods for all classmates. 2. Consider keeping the classroom free of the allergens for that class. After all, the purpose of school is learning and it will be so much easier for you and your food allergic students when you do not have to fear contact or cross-contamination reactions. 3. Enforce a “no sharing food” rule, especially if allergens are permitted in the classroom. Children are tactile, oral and socialized to share. Allowing allergens in the classroom can contaminate it and some allergens are so potent that even trace amounts can cause a reaction—especially when little fingers go into the eyes or mouth. 4. Communicate with the allergy parents. Most allergy parents are more than willing to provide safe suggestions or alternatives for parties, crafts and more. If you have any doubt at all, call! 5. Communicate with all the classroom parents. Without disclosing private medical information, you can still find ways to make sure that snacks and treats that come into the classroom can be shared safely. Focus on the food and drink that is safe plan your celebrations from there. Even with multiple food allergies, there are still plenty of delicious treats available to share. These back to school food allergy tips were provided by Gina Clowes. Gina is the author of One of the Gang and founder of AllergyMoms.com, the award winning website and online support group for mothers of children with food allergies. Great tips! Allergen free classrooms would be amazing, and honestly easier for the teacher. I wish more schools would consider it. This guide is fantastic. I really like how it addresses all the people who will come into contact with the allergic child throughout the course of the school year. 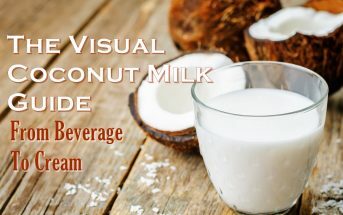 Pingback: Think that Starbucks Almond or CoconutMilk Drink is Dairy Free?